Northwest Christian High School’s Kelli Born, a member of the Navigators powerlifting team, is starting to feel the strain. The pure density of the weight has become too much for the junior. One by one Born removes the sizeable gold medals from around her neck. She was wearing eight total, each one impressive in size and surprisingly heavier than you would expect. Born has no problem putting up lofty numbers with her deadlifts or squats, but even for someone as strong as her, wearing all eight of these medals at the same time is asking a lot out of anyone. “That’s better,” sighs Born, following the moment the last medal is slipped off her neck. Born was one of four Northwest Christian athletes to compete at the 2017 AAU Hi-Temp World Weightlifting, Powerlifting, Feats of Strength and MAS Wrestling Championships in September in Las Vegas, capturing first place in a remarkable eight events. 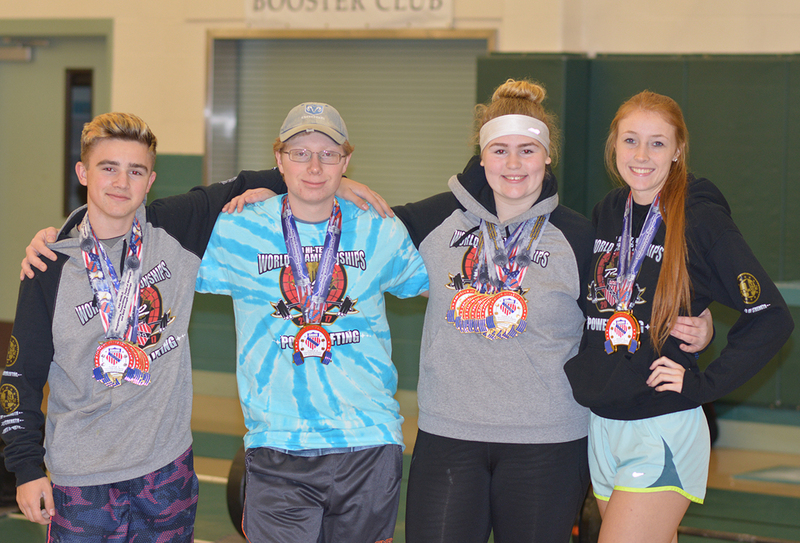 Competing against 350 powerlifters from 10 nations, the Navigators collected a combined 23 medals overall with 21 gold as Patrick Blevins won six gold medals, Abigail VanMarter won four and Jacob Furgison added three. Born swept all three of her powerlifting events, which included the deadlift, bench press and squat, while setting a new world record in the deadlift for her age group with a 259-pound lift. She would also add five gold medals during the Feats of Strength portion of the competition. 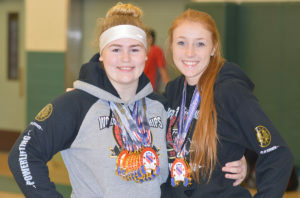 VanMarter, who joins Born on the Northwest Christian volleyball team, excelled in the teen women’s division as well, winning three powerlifting events and setting an American record in the frame hold. Blevins and Furgison both competed in the teen men’s division. Blevins won a trio of powerlifting events in his weight class before capturing gold in pulls up, frame hold and stone carry, where he set a world record. He also added a silver medal in MAS wrestling. 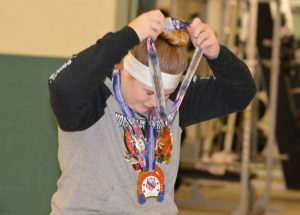 Furgison set new event records for the stone carry and frame hold, while also clinching the gold medal in push/pull powerlifting and a bronze in MAS wrestling. 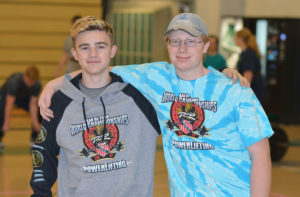 Northwest Christian has had a powerlifting team for the past 12 years, but this year marked its first association with the AAU. The team currently has 23 members during its “open-lift season,” however, Hollis expects that total to grow significantly following the Navigators’ strong performance at the world championships. One thing’s for sure, they better all start strengthening their necks so they can wear all the future medals that are surely coming their way.